There can be no doubting the strength and skill of the netball teams that come out of the Narrabeen Youth Club. 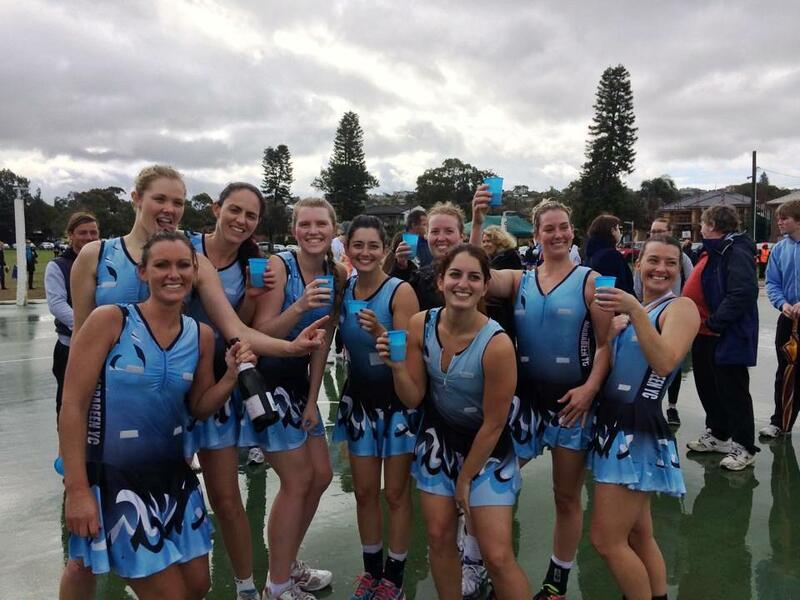 Each year these ladies go from strength to strength and in this year's Grand Finals two Narrabeen junior teams had to compete against each other! 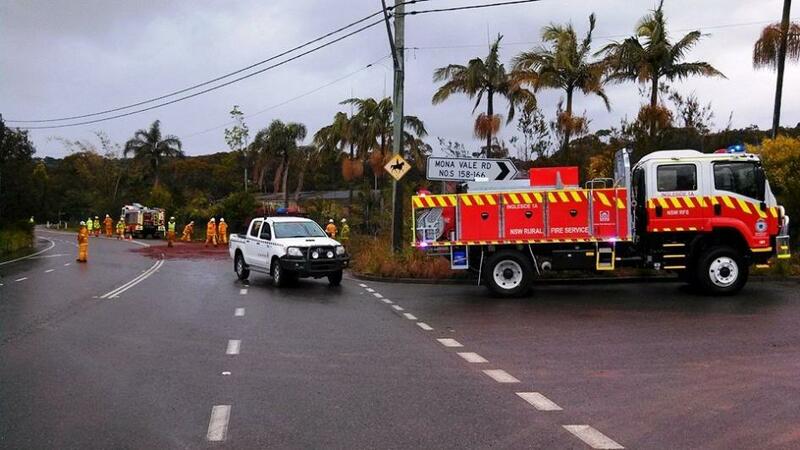 Ingleside RFS vlunteers yesterday afternoon (30.8.2014) - image courtesy Ingelside RFS. If you have been feeling a little impatient with being cold and damp this week, spare a thought for our local State Emergency Service volunteers and Rural Fire Brigades. Ingleside RFS have been called out from when it's dark to when it's horribly cold and wet several times this week - the last as recently as yesterday afternoon, this time responding to an Hydraulic Oil spill on Manor Rd, Ingleside near Mona Vale Rd. Oil absorbent material used to soak up the oil. The Ingleside RFS volunteers responded to a similar incident at 6.30am on Wednesday morning. On August 23rd the Ingleside NSWRFS volunteers were excited as they took delivery of a new $300,000 Fire Truck. After some quick photos in front of an Ingleside landmark, the Sydney Bahá’í Temple, our volunteers were busy fitting it out. The new vehicle is an RFS Category 1 Tanker, which will be used as their first response vehicle to incidents in our local area. In the past year, Ingleside RFS have attended to about 100 incidents, including vehicle accidents/fires, bushfires, Fire Alarms, Horse Rescues & Storm Damage. Some significant fires: Barrenjoey Headland & Blue Mountains Bushfires, Mona Vale Fuel Tanker fire. 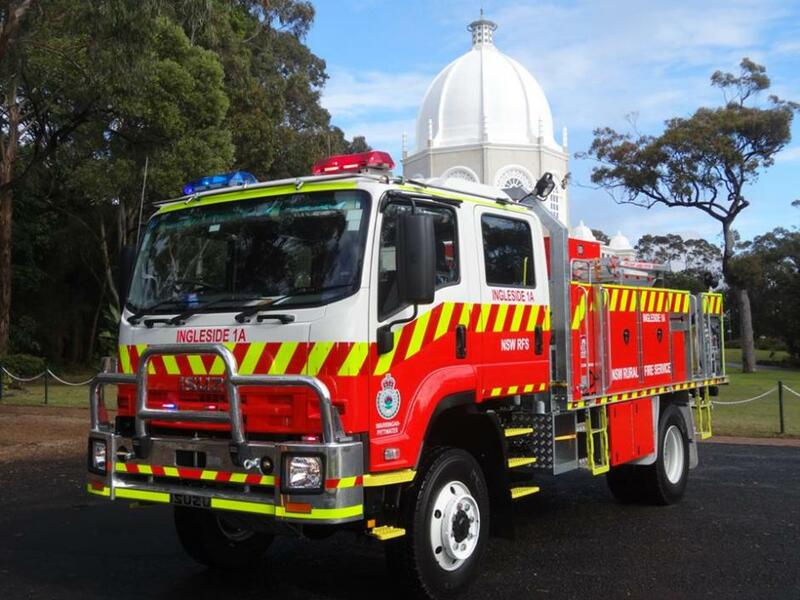 NSW Rural Fire Service and the NSW Government fund new RFS Tankers for Brigades around the state. To get this funding, local councils such as Pittwater Council and Warringah Council receive rates from the community towards the fund, along with Insurance companies who contribute. Ingleside's older tanker will be heading off to another RFS Brigade in a regional or country area and we're sure they'll be happy with it. Ingleside RFS's new Truck. Picture courtesy Ingleside RFS, 2014. 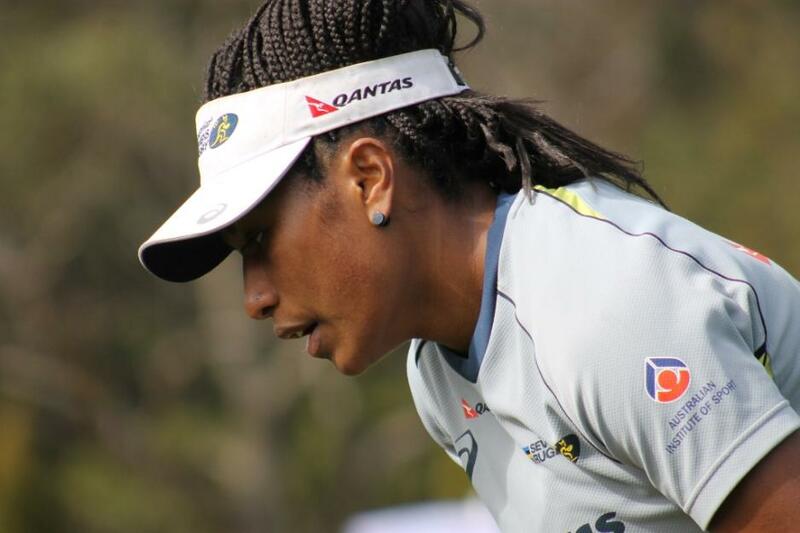 Ellia Green - training at the Academy of Sport, Narrabeen. Picture by A J Guesdon, 2014. Sevens Rugby is a fast paced exhilarating sport that now enjoys Olympic status and is set to make its first appearance on the playing roster, in the men’s and women’s competitions, in the 2016 Rio de Janeiro Olympics, the 31st Olympiad. We recently attended a training session with the team and took the opportunity to have a talk with the girls regarding their Olympics aspirations. 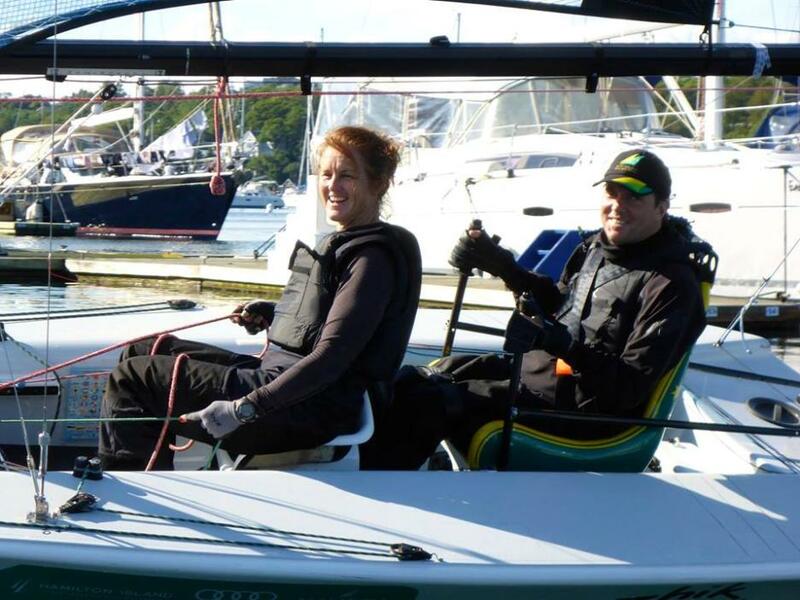 Liesl and Dan at Halifax - image courtesy Australian Sailing Team, 2014. London 2012 Paralympic Gold medallists Daniel Fitzgibbon (NSW) and Liesl Tesch won the 2014 IFDS Disabled Sailing World Championships in Halifax, Nova Scotia, Canada on Sunday 24th of August (Monday morning; 25th our time). The Australian Sonar Team of Paralympians Russell Boaden (WA), Jonathan Harris (NSW) and Colin Harrison (WA) came third, taking home a bronze medal, while London Paralympian Matt Bugg finished fifth. These results have secured Australia an early qualification of all three Paralympic Boat Classes for the 2016 Paralympic Games in Rio de Janeiro and ensured they topped the Nations Cup Scoring. The IFDS Worlds 2014 regatta was held at the Royal Nova Scotia Yacht Squadron in Halifax, Nova Scotia, Canada August 19-24th, 2014. This was the start of their Rio 2016 Paralympic campaign for Paralympic Champions Liesl Tesch and Daniel Fitzgibbon. Winning the SKUD-18 World Champion title for 2014 also meant the first World Championship win for the pair. Frank Adshead - picture courtesy Maureen Cleary, 2014. Frank Adshead, at 68 years young, has just completed his 4th consecutive Pub2Pub with all his supporters contributions allocated to the Mona Vale Hospital Auxiliary. Frank tells us he played 'geriatric soccer’ for 23 years prior to taking up the challenge of making the finish line at the Newport Arms each year and has raised close to three thousand dollars. “This country and its people are known for fundraising – the amount people give is just phenomenal.” Frank said yesterday. When we inquired how long it took him this year he responded, “Mine is more a ‘brisk walk’ nowadays”. Frank is on the committee of the re-established Mona Vale Residents Association which is a supporter of Mona Vale Hospital, and he is keeping an eye on developments at MVH as well as the new French’s Forest complex. Frank is also Treasurer of the Mona Vale Garden Club, which is holding its 43rd Annual Garden Show at Ted Blackwood Hall on Saturday September 13th, with profits from this slated for the Mona Vale Hospital Auxiliary too. This prestigious club’s annual exhibits are judged by the Royal Horticultural Society and always make a wonderful way to commence celebrating the wonderful season of Spring. With the Vernal days commencing officially tomorrow Mr. Adshead may inspire more to take to ‘brisk walking’ and he certainly deserves our thanks and congratulations for all he has contributed towards supporting our Mona Vale Hospital Auxiliary. Details of the Mona Vale Garden Club's 43rd Show on our Events page.